What does Split Shifts at Midnight mean? An overview of the Split Shifts at Midnight setting. 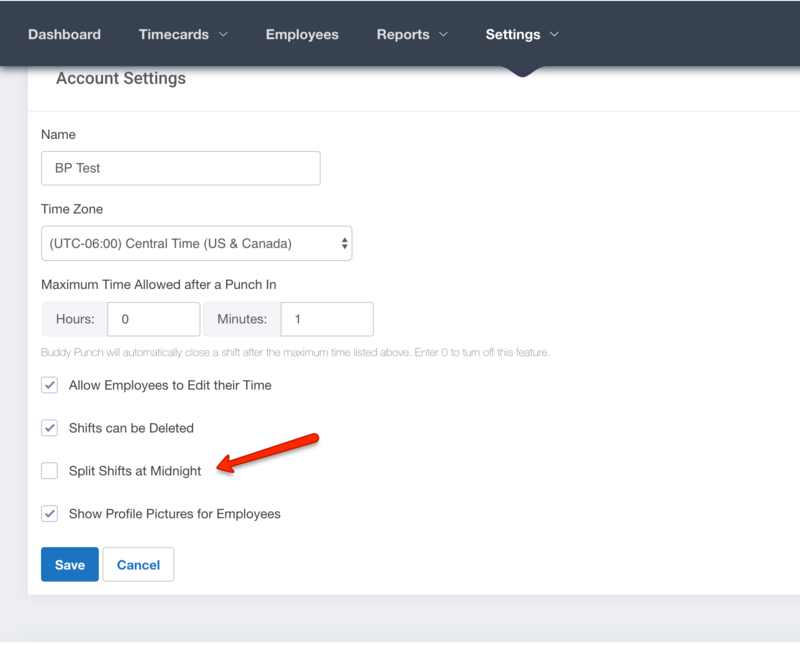 You may have noticed the option to Split Shifts at Midnight from within your Settings --> Account Settings. When enabled, this option will split the shift of an employee that works past midnight into two shifts. If you have an employee who works overnight, but you'd prefer to keep all that time within one shift, then simply disable the option.